OSHA released its top 10 violations for 2018, and the list looks familiar because it didn’t change much from 2017. Patrick Kapust, OSHA’s deputy director, announced the OSHA violations last week at the National Safety Council Congress in Houston. The list is based on an estimated 32,266 violations from fiscal year 2018. The violations were found by OSHA and precluded violations discovered by state enforcement agencies. Employers should by now be very familiar with the list. 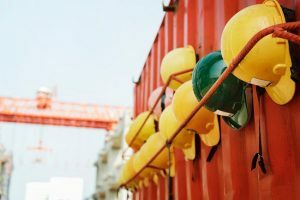 The top seven OSHA violations remained basically unchanged for the fourth year in a row, and in fact, there was only one new addition to the list from years’ past: This is the first year that Personal Protective Equipment (PPE) has ranked in OSHA’s top 10 violations, replacing Electrical Wiring Methods. 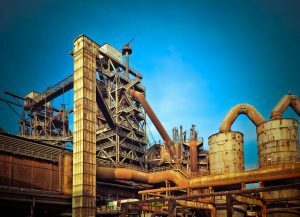 If you fear your facility may be committing a few of the violations on OSHA’s 2018 top 10 list, you need to act to ensure your worksite gets into compliance. Trust KC Supply Co. to help you comply with OSHA’s standards so you do not appear among the violations on next year’s list. 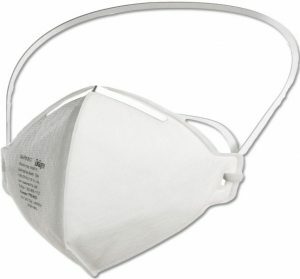 We can provide safety and monitoring equipment, including PPE and respirators. Visit www.kcsupply.com to learn more, or call us at 800.KC.SUPPLY and we’ll be happy to answer all your compliance and safety equipment questions. If your plant maintenance schedule doesn’t include regular storage tank cleaning, it definitely should. Debris and corrosion-causing contaminants can create a sludge-like material at the bottom or on the sides of dirty tanks. This can result in oxidation, which can reduce storage tank efficiency. Dirty, contaminated tanks also may post increased safety risks to your employees and the environment. Tank cleanings are often part of regulatory inspection requirements and must be scheduled on a regular basis. How often will depend upon the materials stored in your tanks. It’s critical to make sure that workers who clean your tanks are properly trained and follow proper safety procedures. Create a plan: During planning sessions, plant managers should assess the risks as well as obtain permits, if needed, and schedule safety training meetings. Train professionals: Cleaning tanks requires industry-specific experience and training. Only employees with the right knowledge and expertise should be allowed to clean storage tanks. Use protective gear & safety equipment: Employees must be properly equipped with the right personal protective equipment to keep them safe. Employees must have the proper safety equipment for handling the holding materials and working with specific tanks before starting the cleaning process. Proper safety equipment includes calibrated gas and oxygen detectors to alert cleaners of oxygen deficiencies. Plant managers should have safety harnesses and emergency kits on hand in case they are needed. Implement safety procedures: Before cleaning, trained personnel must make sure to properly turn off, open, close or otherwise take care of all valves, manholes and other tank components. Not cleaning your tanks can result in a standing threat to your employees and facility. However, cleaning tanks without the right safety measures in place can be equally, if not more, dangerous. Plant managers should plan and prepare to mitigate risks by working to ensure that tanks are cleaned by training professionals and with proper safety procedures in place. If you need professional help, hire experts help clean your tanks and keep your facility, employees and environment safe. Do you need more information about cleaning your storage tanks? KC Supply Co. can answer your questions and help provide you with all the safety equipment you need to clean your storage tanks properly. Visit www.kcsupply.com or call 800.KC.SUPPLY. Housekeeping isn’t much fun, but it’s critical in a grain and feed facility. OSHA regulates housekeeping activities to prevent dust explosions that can be fatal or cause critical injuries. Following housekeeping rules keeps your employees safe, ensures product safety and protects you from getting hit with fines and citations. For detailed information, check out OSHA’s housekeeping rules in the Grain Handling Standard (29CFR 1910.272). 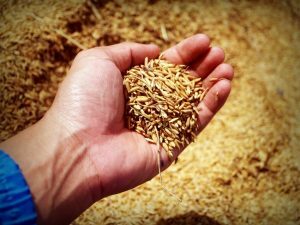 Create, write down and implement a housekeeping plan: If you don’t have one already, create and establish a program for grain and feed facility housekeeping. Be ready to present your written plan to an OSHA inspector, if necessary. It should specify areas inside to be cleaned, frequency of cleanings and cleaning methods. Follow the ⅛-inch rule: Immediately remove grain dust accumulations that exceed ⅛ inch in priority housekeeping areas. If your housekeeping plan includes precautions, this step is less important. 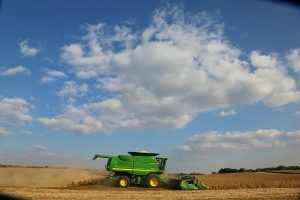 Precautions include treating the grain stream with oil additives to prevent combustibility or wetting down areas of dust accumulations with a water- or oil-based solution. Prioritize cleaning areas: In certain areas of a facility, violations are more serious. So dust in one area may not be as serious as dust in another. For example, immediately remove grain dust accumulations exceeding ⅛ inch from: any place within a 35-foot radius of an inside bucket elevator, including walls, overhead, equipment and walking surfaces; floors of enclosed areas containing grinding equipment; and floors of enclosed areas containing indoor grain dryers. Turn off ignition sources: When cleaning dust, make sure ignition sources are turned off. Use only compressed air to blow dust from ledges, walls and other areas during downtime to reduce the risk of fire. Clean up spills: Product spills aren’t as critical as dust accumulations, but inspectors do take notice. Train all staff to take action when spills happen. Clean up spills quickly with a portable vacuum. Keep ingredient and product tubs close by to prevent spills. 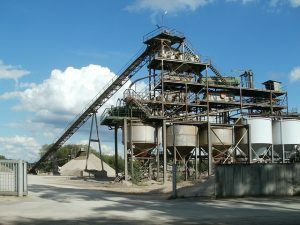 For more information on grain and feed facility housekeeping, visit www.kcsupply.com or call 1.800.KCSUPPLY. KC Supply can answer any questions you may have about OSHA requirements regarding grain and feed facility housekeeping. Call us today to find out more.